Keeping up with the ethics in war and everything is fair is the war. The flock remembers putting their best efforts to beat their enemies on the war land and retrieve their eggs back. And this war has to be fought with the sugar rush to see who gets tempted first and understands life is to live in love with yummy delights. 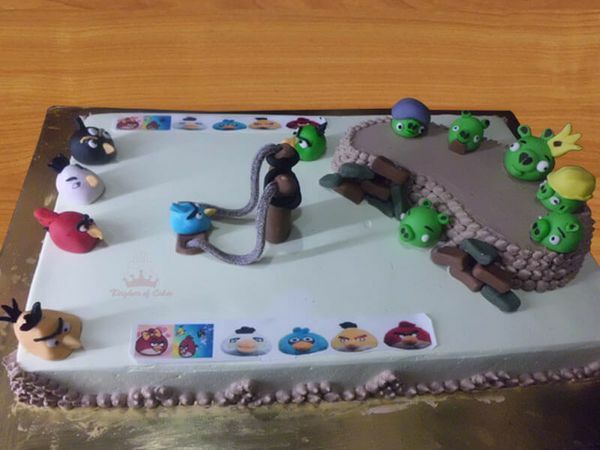 Let down the fake games and do not sugar coat but indulge in this grey sugarcoated fondant War is on Angry bird kingdom cake with the high sugar spirits. Makes you go crazy!